Habitat: Common on nutrient-rich arable and waste ground. 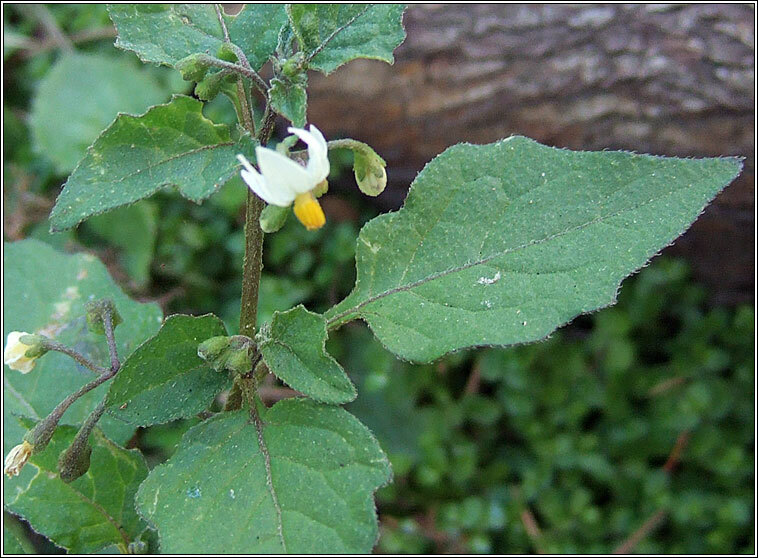 A bushy plant, erect or spreading with black stems and stalked, pointed leaves that can be +/- lobed. 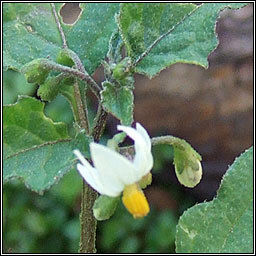 The small white flowers with a central column of yellow stamens are followed by a round, green/black fruit. Height to 50cm. Poisonous.